We did our weekly grocery shopping trip yesterday after Brian got home from work and had a quick shower. 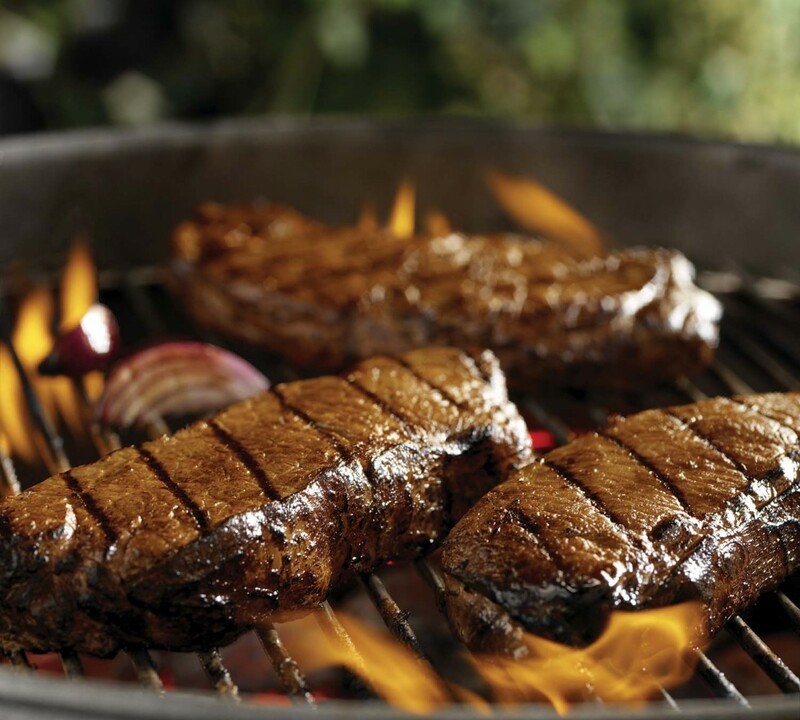 I always plan something quick & easy for dinner, ’cause shopping (and getting it all put away) wears me out! I had planned to heat up some leftover sliced pork loin in the iron skillet with a little butter, but by the time we got home we were both drooling to try something new we found during our shopping adventures. 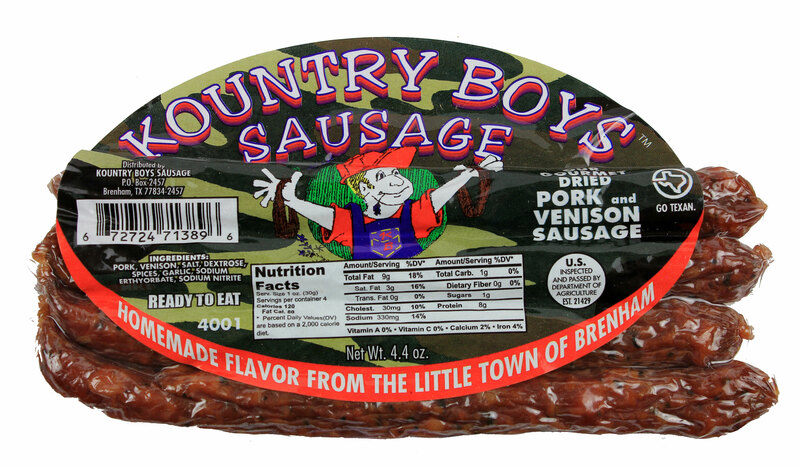 Kountry Boys Smoked Pork & Venison Sausage…We found it at Sam’s Club. 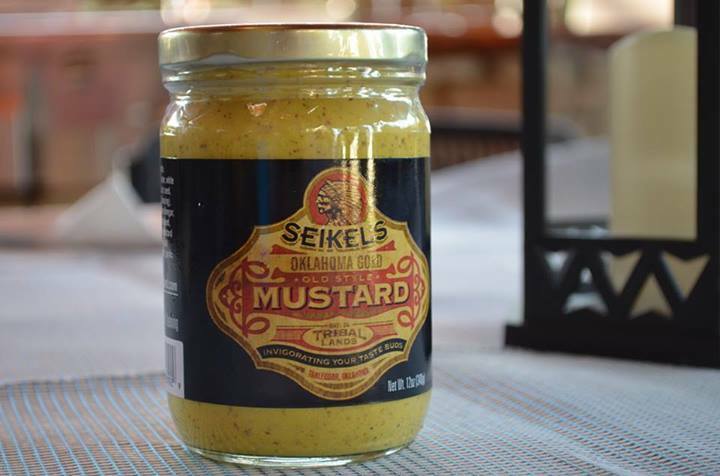 Seikel’s Oklahoma Gold Mustard…which we found at Whole Foods.